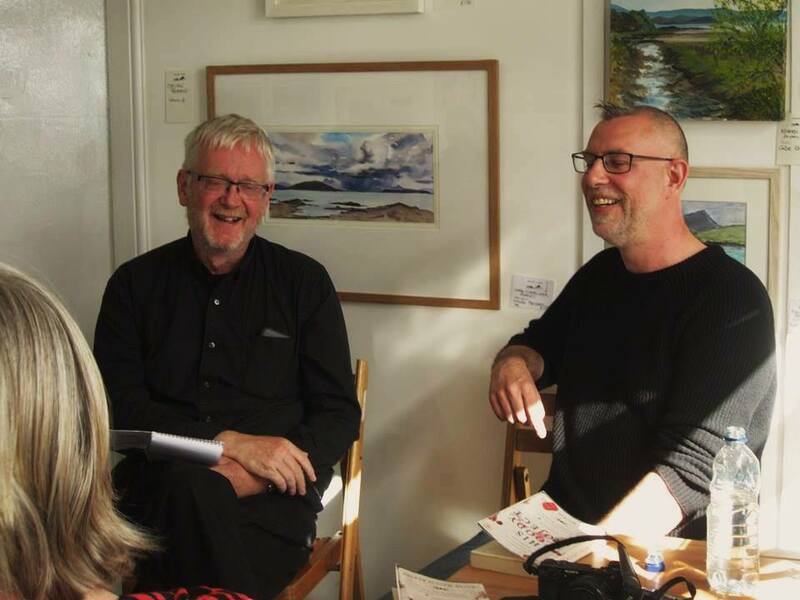 The Lochcarron Gallery was transformed into a “literary salon” for a couple of hours on September 2nd when Graeme Macrae Burnet was our guest, reading from his Man Booker long-listed novel His Bloody Project and answering questions from local writer Peter Barr and members of the audience. Graeme then discussed the book – about a brutal triple murder in an Applecross village in 1869 – and talked about his local connections, including his mother Primrose, who was born in Lochcarron, and his grandfather, Donald “Tramp” Macrae. He also revealed how one of the “Police Statements” in the novel, written by a local minister called the Reverend James Galbraith, paraphrased the sermons of the Reverend John Mackenzie, the real-life minister of the Parish of Lochcarron in the mid 1880s, describing records of “black and bloody crimes” in the district. After a lively exchange with the audience, which revealed more unexpected local links including tales of tragic drownings in the area, Graeme signed copies of his book – still available in the Gallery for £8.99. A film crew from BBC Alba also interviewed Graeme and joined us for the special event – one of the highlights of the Wester Ross Open Studios Week, which ran from August 27 to September 3.